Is rhetorician on your resume? 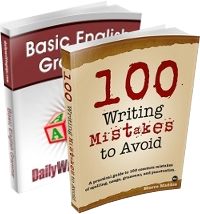 It should be, because I’d be surprised if you haven’t employed one or more of the methods listed below for conveying emphasis to your writing. Reversal of repeated words or phrases for effect: “Ask not what your country can do for you, but what you can do for your country. Contrast within parallel phrases (not to be confused with the ordinary use of the word to mean “extreme opposite”): “Many are called, but few are chosen.” The term can also refer to literary characters who, though not necessarily antagonists, represent opposite personal characteristics or moral views. Excessive braggadocio: “I am the very model of a modern major-general. I’ve information vegetable, animal, and mineral.” Also known as verborum bombus. Thank you for providing a great list! Wow…staggering…I can’t even PRONOUNCE most of those words. Still, a noble effort and great list, especially for trivia-minded folks (yes, if they like that sort of thing, this would be the sort of thing they’d like LOL). Thanks! What a great job you’ve done, Mark. Thank you. why are there no big potatoes or small enchiladas? Thanks for more work. Not only do I have FIFTY new words to learn, thus sounding even more foreign, strange and obscure to folks on my daily city bus ride, I have to learn how to apply them….. Ahhhh! Truly I was hoping not to be entertained by meeting and knowing these fine gems until my later days on this rock. Alas, my dream ends with the strokes of your keyboard. So Mark! Here’s another word for a device few should know. To my understanding it is rarely used. Q. In high Greek rhetoric what do they call the process of creating a word or words that do not exist? Just helping Mark complete his list. See you in the dictionary. Humour aside, this is wonderful knowledge, research and a post of Noble proportions. GREAT WORK! Thanks Mark. I love this site. So glad I stumbled upon it. I am constantly coming across useful material; that’s not something you can say for much of what’s on the w3! I majored in Rhetoric and I only remember 10 of these terms. There are some definitions that I never heard of. Good research. I knew only one and that was 21. Cacophony. I now have a lot of words to learn; I now have a lot of applying what I’ve learned; I now have a lot of using in a subtle way what I’ve learned. Poor example but I’ll get there. What does one call the fanciful or at least illogical use of an adjective, which properly describes the human subject, but applied instead to the non-human cause of the human subject’s state? It works well, I think, but is it a recognized device, or is it simply bad writing? Great, I really like them. These devices make me aware, that there need not be only one way of writing. 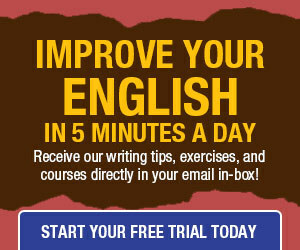 I came across this site while browsing for writing tips and it has more than satisfied my need. The greatest service, that rhetoric can make is to ease our mind in expressing ideas and make them effortlessly flow. What’s the name for this device? The amount of respect I had to the craft of persuasion rose to heights I have never seen before. I came across this article when I saw a comment on YouTube describing Christopher Hitchen’s adept skill at using rhetorical devices in his speeches. Now, I am more curious than ever before as to the secrets the English language holds.